In a ruling that defies common sense, the European Union Intellectual Property Office ruled last Tuesday that McDonald's had not proven genuine use of the trademark "Big Mac" and revoked the company's rights to it. This decision comes out of a dispute between the American mega-corporation with 36,899 restaurants worldwide and an Ireland based fast food chain with 106 restaurants called Supermac's. This may sound like an uplifting David vs Goliath story, but it's an absurdity contrary to what should be the rule of law. The background to the ruling makes more sense. Supermac's claims that McDonald's was engaged in “trademark bullying” and “registering brand names… which are simply stored away in a war chest to use against future competitors." McDonald's brought a suit against Supermac's back in 2015, claiming the restaurant's name and menu items, such as the Mighty Mac burger, infringed on the Big Mac trademark. 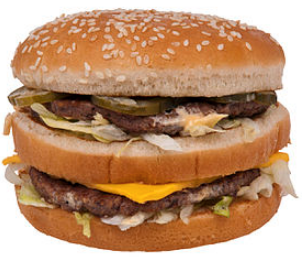 Setting technical legal issues aside, observers can reasonably argue that consumers would not confuse the term "Mighty Mac" and "Big Mac" when applied to burgers. They might further argue that a burger chain called Supermac's owned by a guy named McDonagh has some inherent rights to use the terms "Mc" and "Mac." But it seems absurd, capricious and irresponsible, to argue that McDonald's corporation has not proven use of the term "Big Mac." The Big Mac is so well known and famous and ubiquitous and closely associated with the specific hamburger made by McDonald's, that the Economist magazine compares the purchasing power parity of world wide currencies with something they call the Big Mac Index. The acceptable legal answer to the question of whether or not McDonald's has proven use of its Big Mac trademark should be, "Duh." Of course McDonald's is appealing. It's nice to see a little guy win against a mega corporation, but not like this. If this is a typical example of how the EU operates, it's easy to understand why citizens of the United Kingdom voted for Brexit.